Indicators are helpful, even for price action traders. But you should follow two principles to make the most out of indicators. 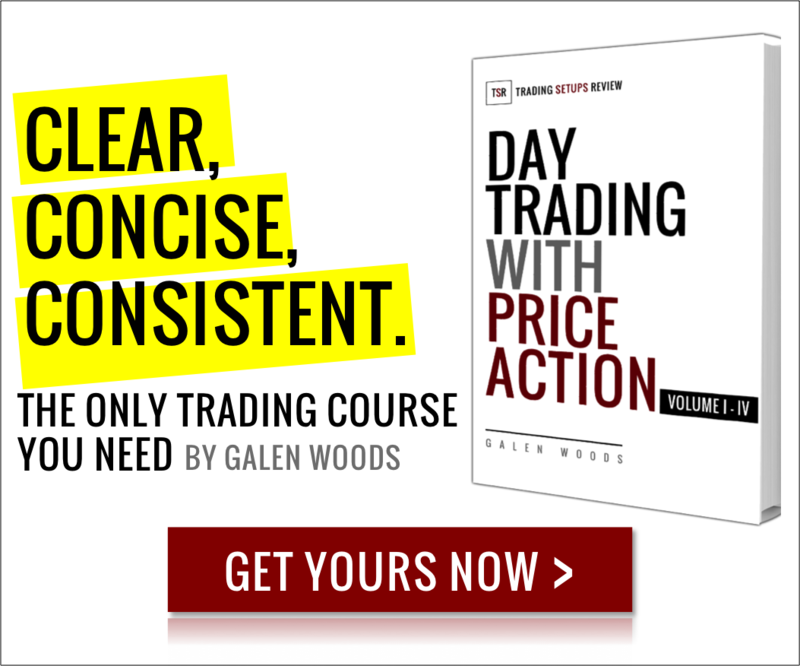 1st Principle – Focus on price action. Indicators should take a secondary, supportive role. 2nd Principle – Pay attention to the direction of the indicator. Many traders look out for specific values of an indicator. An example is looking for oversold values using the Stochastics indicator (<25). However, the trend of the indicator values holds valuable information too. The ADX is one example. In fact, some indicators like the OBV are meaningless unless you study its trend. 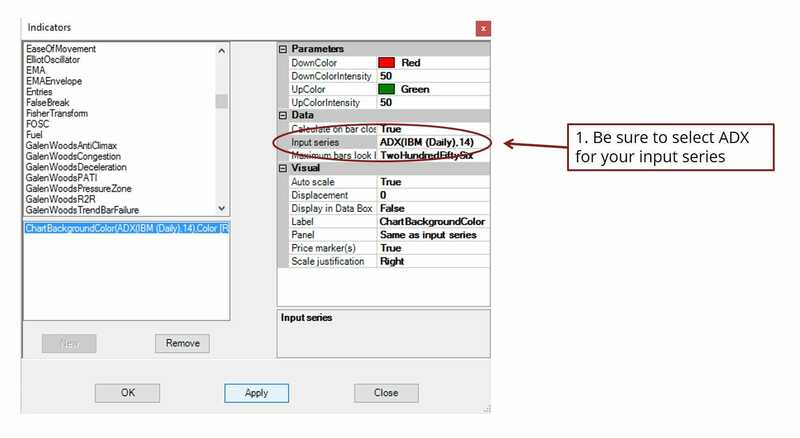 To apply these two principles with ease, use the Chart Background Color Indicator. 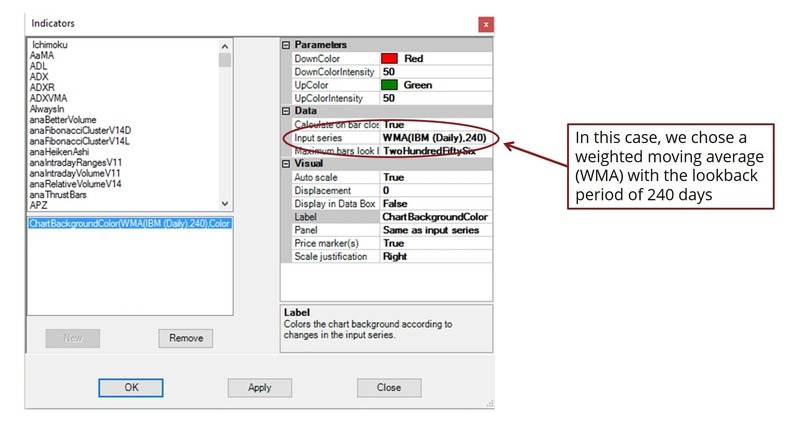 The Chart Background Color Indicator is part of the TSR Indicator Pack. This indicator colors the background of a price chart to show if the indicator value has increased or decreased, compared to the previous price bar. 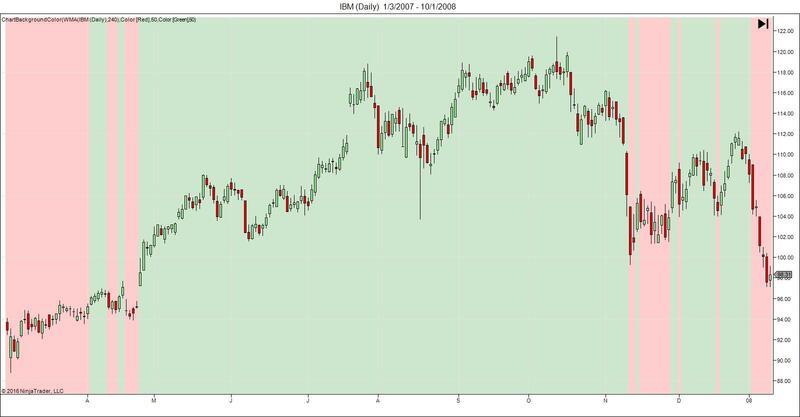 With a colored background to highlight the changes in indicator values, you can maintain price action at the forefront of your analysis. Not sure how to import the indicator? Refer to this article for instructions. 1. DownColor – Background color for increasing values. 2. DownColorIntensity – Intensity of colored background increasing values. 3. UpColor – Color for volume decreasing values. 4. DownColorIntensity – Intensity of colored background increasing values. Traders often overlook the slope of the ADX indicator which gives an early signal of the market’s trending tendencies. 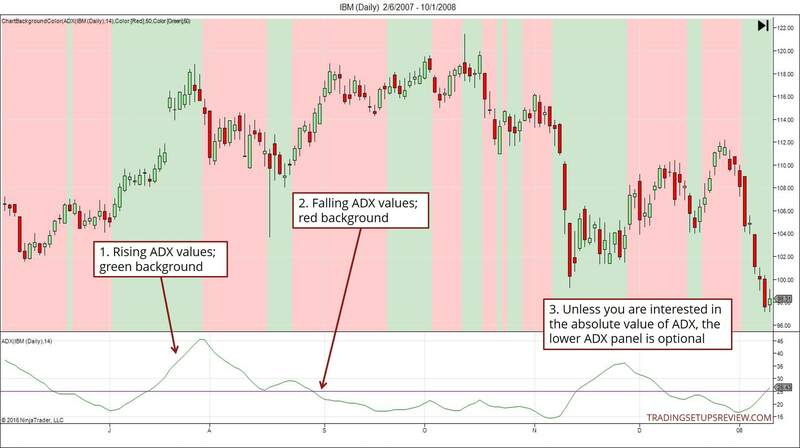 For more details and examples of using the ADX slope in your trading, read this article. If you like strategies that use moving averages, you will find this chart setup useful. With this, you can enjoy the benefit of a clean price chart while keeping track of the long-term trend using the WMA. As a price action trader, you want to focus on price movement. But you might also appreciate the power of volume changes. With this indicator, you can observe the impact of decreasing or increasing volume. 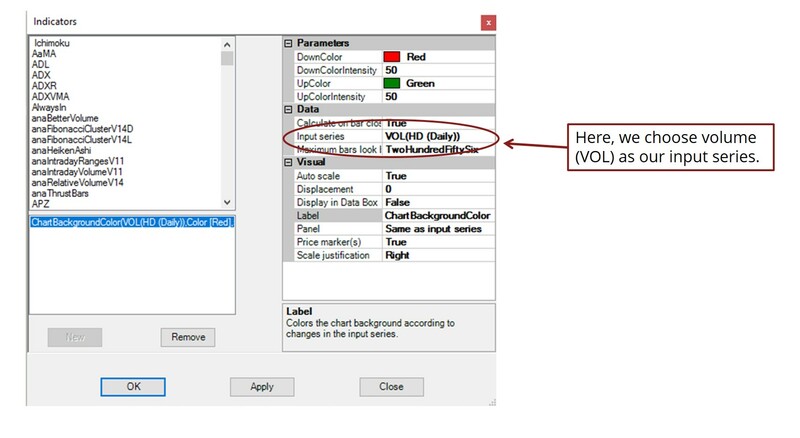 Just choose “VOL” as your input series. 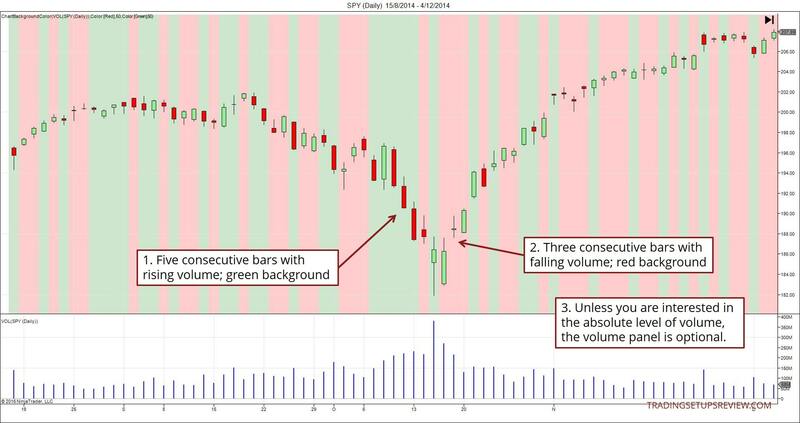 One of the most useful signals arises when you see volume falling (or rising) continuously over three or more price bars. A sustained increase or decrease in volume always deserves a closer look. Experiment with it. Observing the trend of indicators and price/volume data is an excellent way to uncover new relationships you can exploit in your trading.